The cleaning mixture being labelled a ‘miracle spray’ around the country. After one woman from Victoria decided to try the now viral five-ingredient mixture people are rushing out to grab the ingredients and create their own mix, shares Daily Mail. ‘HOLY EFFING S***! This stuff really is a miracle solution,’ her post on Facebook began. 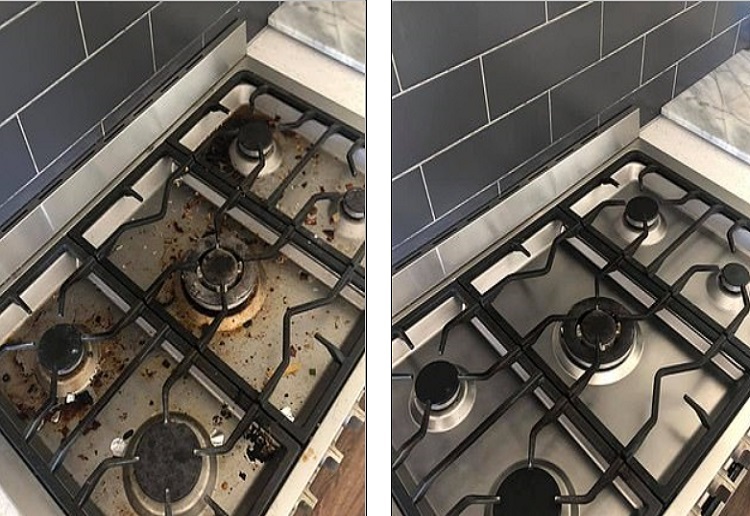 ‘I’m embarrassed by how gross my cooktop actually was but just HATED scrubbing it clean, so I simply just didn’t do it. The spray only requires five household ingredients. 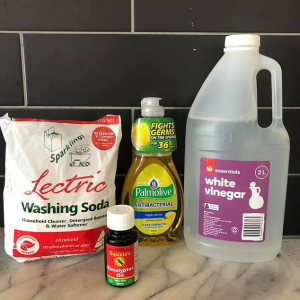 Gather 1.5 litres of water (one cup of which should be boiling), 300ml of vinegar, 60ml dishwashing liquid, 25ml eucalyptus oil and three teaspoons of washing soda – which is also known as sodium carbonate. Simply mix the washing soda with about one cup of boiling water to dissolve. Then add the remaining ingredients and pour it all into a two litre bottle – ideally one with a spray nozzle that will allow for easy application on a variety of surfaces. All of the ingredients can be purchased for less than $15 from your local supermarket. thanks for posting recipe for this. much better than harsh chemicals. I’m definitely excited to try this! Sounds wonderful, thank you for sharing. Is this for cleaning anything and everything, or only the cooktop/oven? Totally up to trying it for my oven. I despise cleaning it and was going to pay someone to do it. This will obviously be the cheaper option first. I would love to give this a go but no idea where I would get washing soda/sodium carbonate from? Any ideas? Is the oil essential to the clean or only for a scent? My DIL used it on her oven first – she was amazed at the results. My own opinion is – of course it will work and the younger and fitter you are, the better it will work. Once you lose the ability to FIRMLY scrub something, then it won’t work. Okay I’m ready to give it a go. Sounds like something to try out and see how good it is. Could this be used on stone or granite though, some research is needed here. Ohh although i clean mine every time, I am going to make some of this mix to clean the oven…that’s one thing I tend to ignore for a while lol So easy to make! Sounds great on built up grime … I wipe mine down every time I use it .. just with warm water or vinegar and that works a treat ! 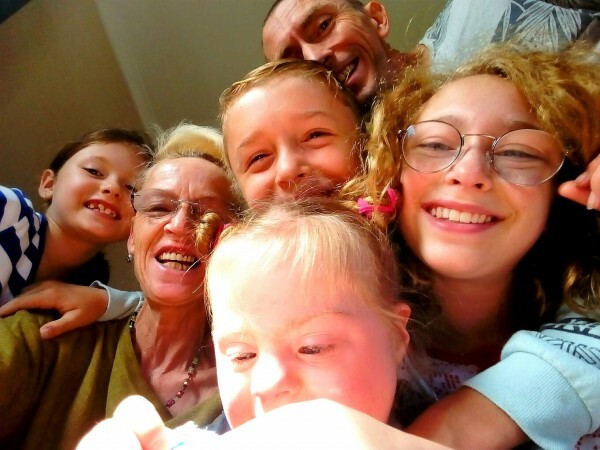 I am with you and do the same thing – I like to keep on top of all cleaning jobs. I think vinegar with bicarb of soda also works wonders. Or sometimes I let thinks solve in a strong napisan (or cheaper home brands) solution what works great too.